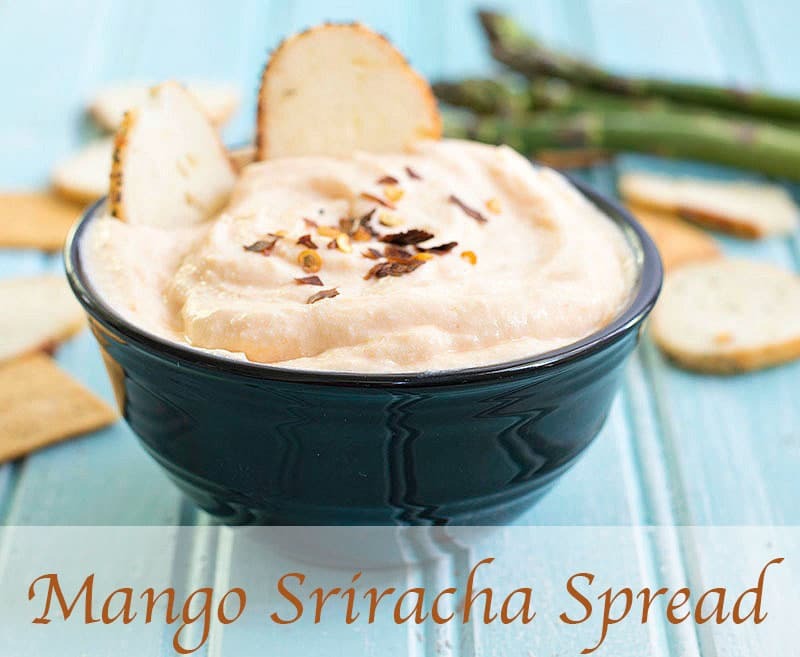 Mango sriracha spread is a simple appetizer for any recipe. Hot sriracha sauce gives the perfect level of heat and the mango adds sweetness to the recipe. It brings me endless joy when I am able to combine two of my favorite foods and those foods are so different from each other. A fruit and a popular hot sauce can come together to make a delicious spread! Yes, I went there! I may not be the first to go there, but, I am sure glad I thought of it. 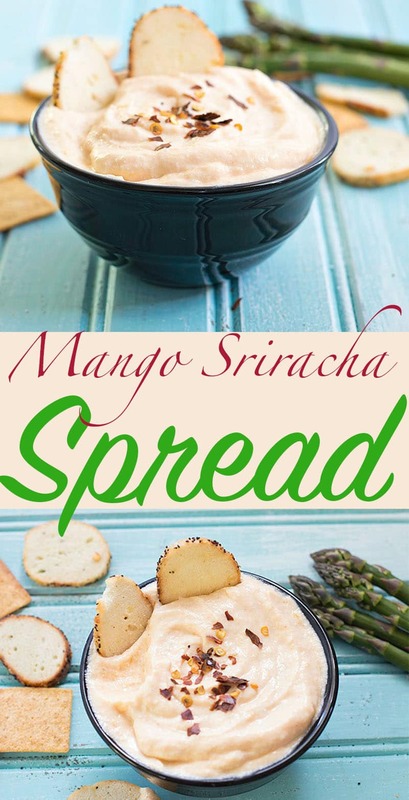 This mango sriracha spread turned out to be the very best I have made. In the past I combined avocado and wasabi to make the avocado wasabi spread. Then, there was the sun-dried tomato spread which was one of my earlier experiments. My roasted butternut squash spread is one of the easiest spread I ever made. There is nothing better than sriracha sauce for this recipe. However, if you have a different hot sauce recipe you want to use in its place, that will work too. If you want to learn to make your own sriracha, here is a sriracha recipe on Serious Eats that will turn you into your own sriracha making machine. This mango sriracha sauce is now my obsession. I wonder how it will taste if I spread it on my bagel chips beet canape? I am off to go experiment! What is your favorite unique recipes? 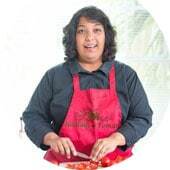 1) Cut 1/2 of a ripe mango into chunks. 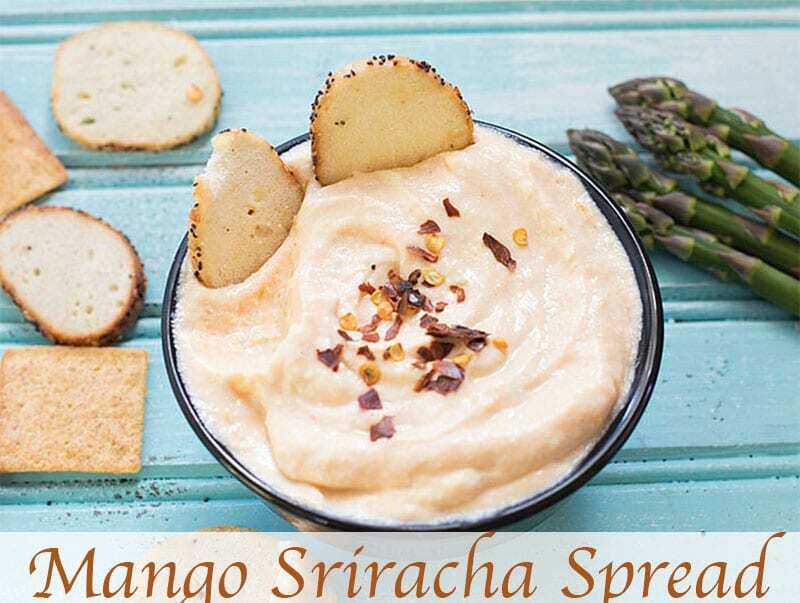 Serve the mango sriracha spread immediately or store in the refrigerator for up to 2 weeks. Serve the spread immediately or store in the refrigerator for up to 2 weeks. I love dips that can be stored in the refrigerator for several days. Makes hosting do easy. Wow, Rini, I’d never think to combine mango and sriracha. What a unique combination. Can’t go wrong with the sweet and spicy flavor combination. How nice that this will last in the refrigerator for several weeks. I can see using this as a dip too! Thank you, Sandra. I can imagine dipping carrots in it.